Lake Turkana National Parks is a group of three national parks. Reasons for the park's importance include its use as a stopping point for migratory birds, as a breeding ground for the Nile crocodile, hippopotamus, and snakes. It also contains both animal and hominid fossils in the Koobi Fora deposits which are unique in the world. Lake Turkana National Parks consist of Sibiloi National Park and two islands on Lake Turkana (South Island and Central Island). 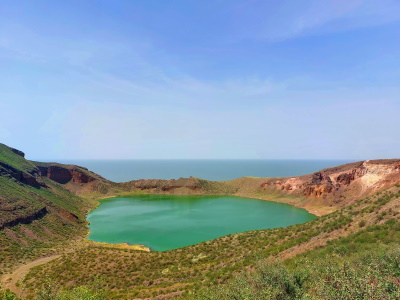 From "Sibiloi/Central Island National Parks" to "Lake Turkana National Parks"
Early Hominid Remains: Human fossils (at Koobi Fora) include the remains of Australopithecus robustus, Homo habilis, Homo erectus and Homo sapiens. Leakey Family: Lake Turkana Koobi Fora research involved Richard and is now headed by Meave and Louise Leakey. Sir Wilfred Thesiger: From his autobiography "The Life of my Choice"